Little vellum frames are a soft and pretty way to house a focal point. 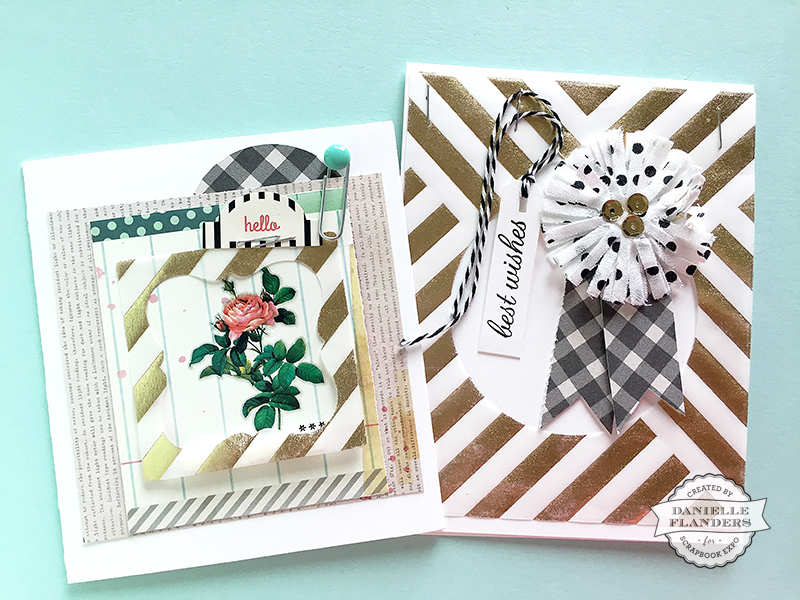 On these two cards, I’ve created my own frames with a sheet of preprinted vellum and some different frame-shaped dies to trim out the centers. 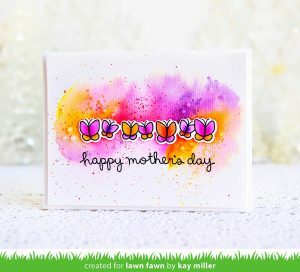 This is a great way to draw your eye to the center of a card, whether it be to draw your eye to a sentiment, a flower, or whatever you’d like to highlight on your card! The vellum just adds a softness that I love. 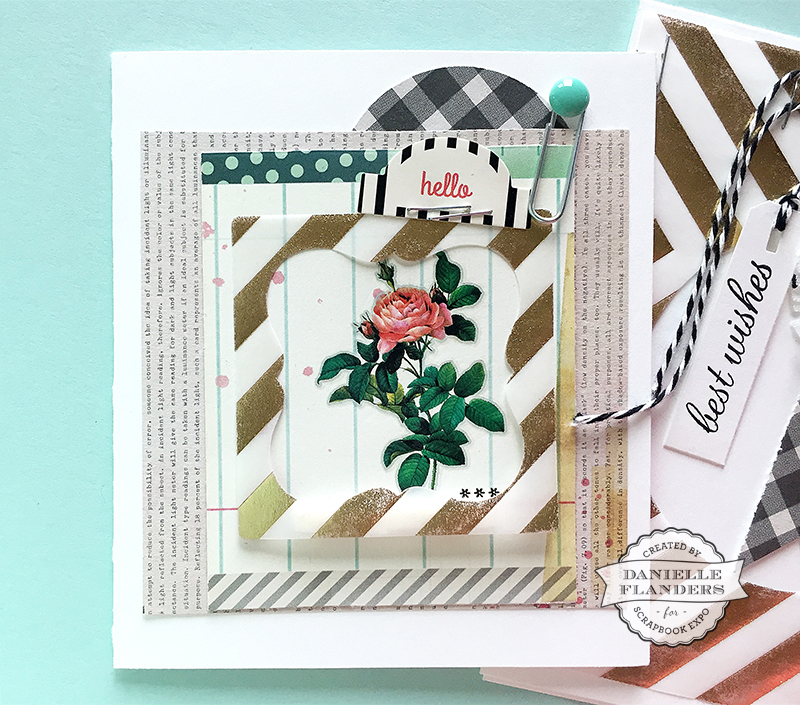 On my first card, I’ve used the Fabulous Frames die by Papertrey Ink to trim out the center of the striped vellum. 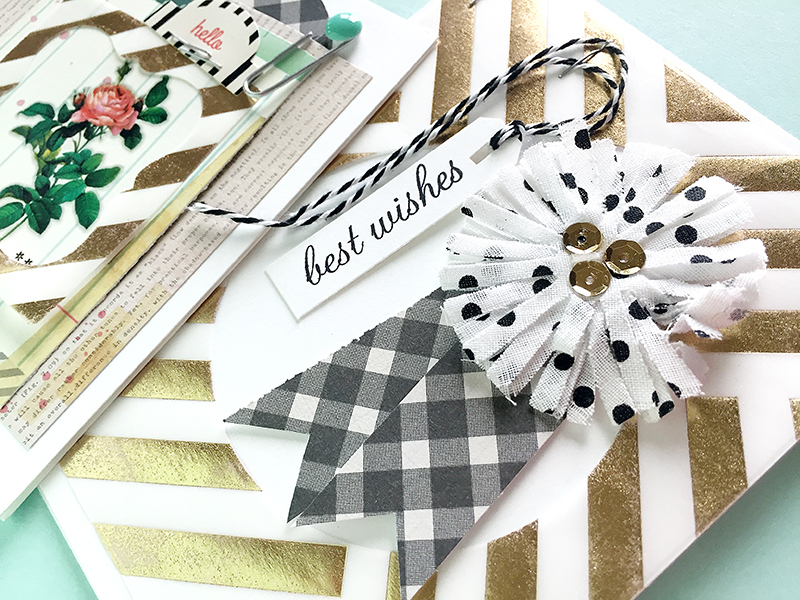 This vellum is an older paper from the Open Book collection by Maggie Holmes and Crate Paper, but there are so many pretty preprinted vellum papers out these days, and they layer beautifully! I backed the vellum with a subtle notebook striped paper, then added a floral rub on in the center, also from the Open Book line. I love how the open center of the frame draws your eye to the floral! You can pop up the frame for more dimension also, if you’d like. 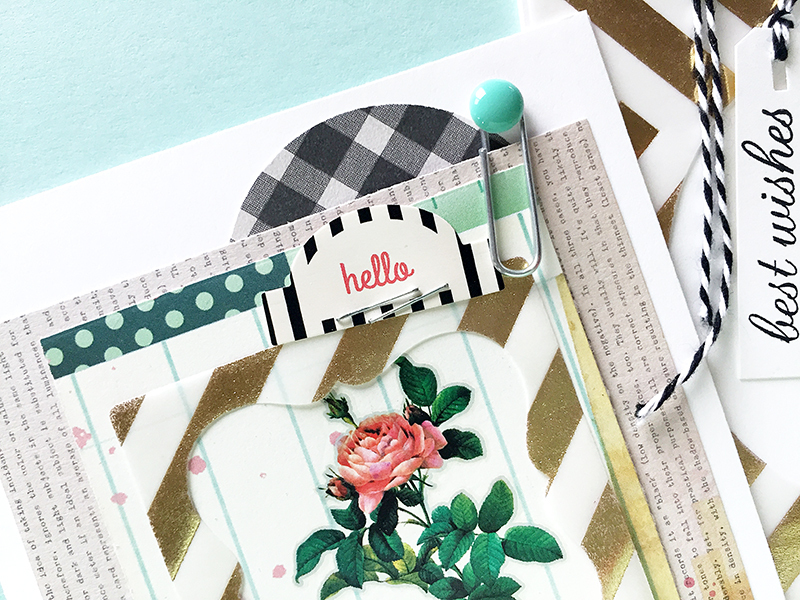 I’ve layered a few patterned papers here and added a tab, a paperclip, and a cute aqua enamel dot. 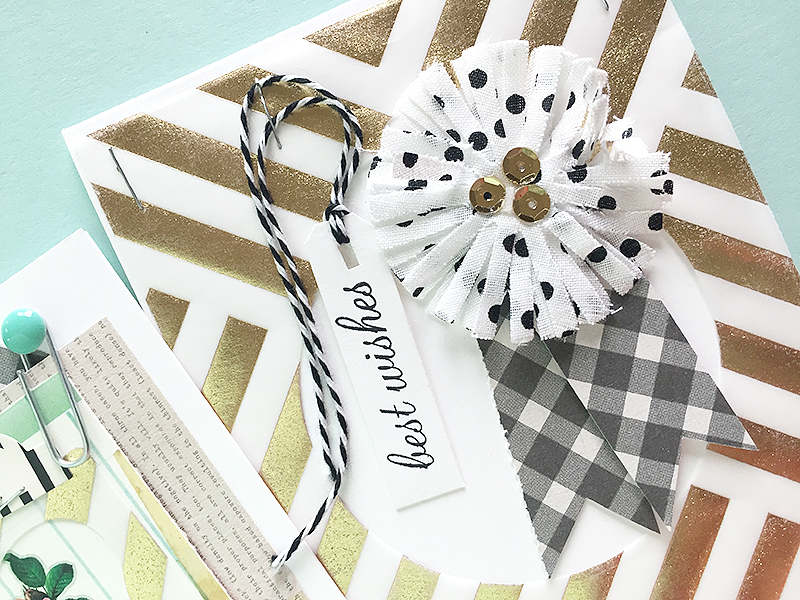 On the Best Wishes card, I’ve used a circle die to trim out the center of the vellum. 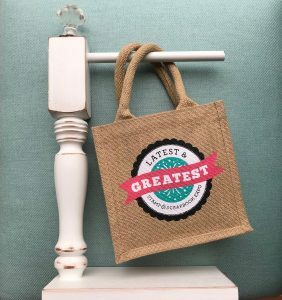 Then I created a hanging tag with the stamped sentiment and added an older Crate Paper flower and little patterned paper banners. As far as adhering the vellum, I have simply stapled it at the two top corners for a quick and easy card. Enjoy your week, and I will be back soon with more fresh ideas to hopefully inspire your next greeting card! 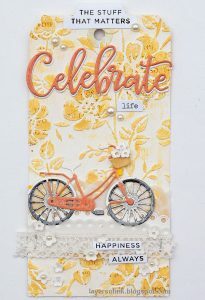 This entry was posted in Blog, Card Making, Paper Crafts, Stamping, Stamping Techniques, Techniques, The Creative Cardmaker, Tips, Techniques & Helpful Hints and tagged best wishes, Card, Cardmaking, Crate Paper, DANIELLE FLANDERS, Frame, hello, rub-ons, Vellum. Always creative and inspiring, Danielle! 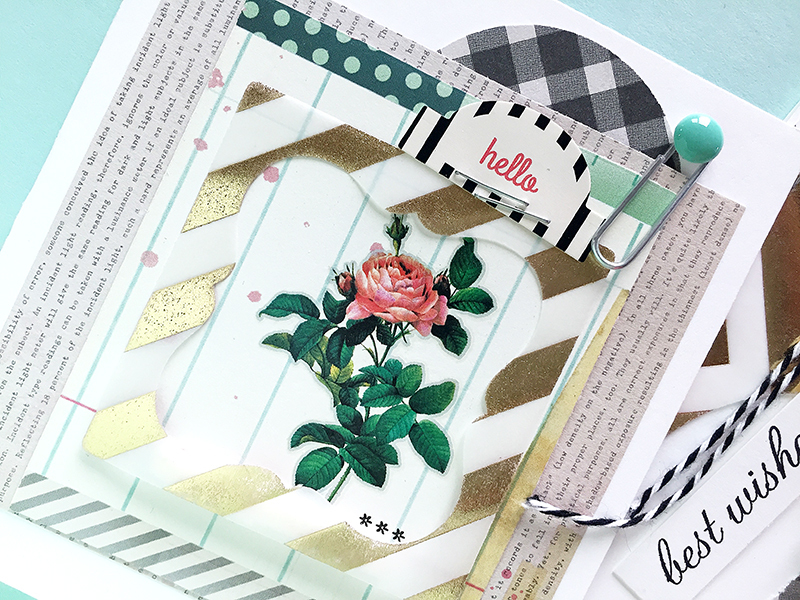 Your vellum frames are gorgeous! Love your beautiful work!